Test cricket in the bustling city of Mumbai shifted for good to the Wankhede Stadium in the 1974-75 season, after it was built due to disputes between the Cricket Club of India (who own the historic Brabourne Stadium), which is a stone’s throw away from the Wankhede and has hosted only one Test in the last four decades, and the Mumbai Cricket Association over the allocation of tickets. 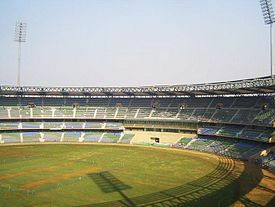 The stadium is named after S.K Wankhede (1914-1988), a former secretary of the MCA. This was the first ever Test played at the Wankhede, and the deciding Test with the teams locked at 2-2. The West Indies were still not at their 1980’s peak, but they nonetheless trounced the hosts by a comfortable 201 runs. 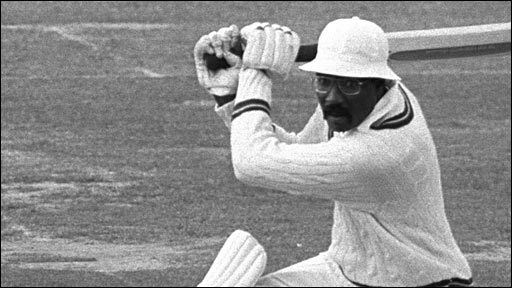 Captain Clive Lloyd’s glorious unbeaten 242, aided by Roy Fredericks’ 104 plus Alvin Kallicharan (98) and Deryck Murray (91) helped the West Indians to an imposing 604/6. Eknath Solkar’s gutsy 102 just helped India avoid the follow-on, as a haul of 7/98 from the veteran Lance Gibbs ensured that India could not reach more than 406. 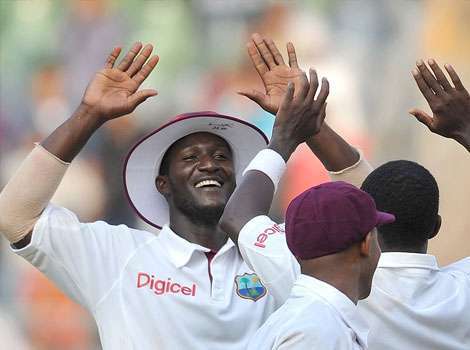 In the second innings, West Indies galloped at 5 runs an over to declare at 205/3, setting India 404 to win. Already 53/3 at the start of the final (sixth) day, the hosts folded for 202, with Vanburn Holder grabbing 6/39, giving West Indies the series 3-2. This was a one-off Test staged in honour of the Indian cricket board’s golden jubilee, and one man Ian Botham made it his own. He announced himself in the match by taking 6/58 as India were bowled out for 242 on the first day. 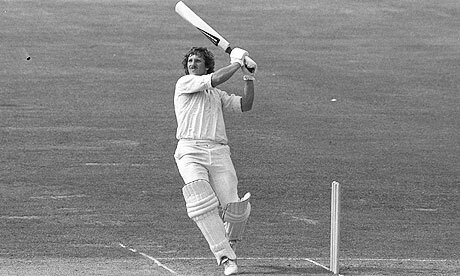 Karsan Ghavri and Kapil Dev then reduced England to 58/5 when Botham swung the game around with a typical 114 from only 144 balls to guide England to 296. The lead of 54 was not yet a safe one, but Botham made it look like more than enough, as he ripped through the hosts in the second innings, taking 7/48 to have 13/106 in the match. India were bundled for 149, and England cantered home by ten wickets, reaching 98/0, where for a change, Botham was not required. Botham’s show was probably the most impactful all-round feat ever seen in a Test match. India exacted revenge two seasons later with a 138 run victory in a low-scoring encounter. India managed only 179 in the first innings, built around captain Sunil Gavaskar’s solid 55. Left armer Dilip Doshi then took 5/39 as England collapsed from 95/1 to 166 all out, in spite of half centuries from Geoff Boycott and Chris Tavare. The lead was only 13, and England’s scope of a win further brightened when they had India at 90/5 and then 157/8 in the second innings, before Kapil Dev crashed 46 off 50 balls and added vital runs with the lower order, helping his side to 227 and thus setting England a tricky 241 in the fourth innings. But Kapil (5/70) and Madan Lal (5/23) blew England away, as the visitors never recovered from 42/5, getting bowled out for a measly 102. This was the only result in a 6-Test series. The pitch for this final Test was widely criticised, and the fact that it produced a thriller was overlooked. Hardly any play was possible due to rain on the first day, yet the Test ended within three days. India were shot out for 104 on a pitch that was turning more generously than was required. Australia built a good lead of 99 after they were all out for 203 on day 2 – a day on which 18 wickets fell. A further 20 wickets fell on the dramatic third day, India getting to 205 courtesy a priceless 91 run stand between senior pros VVS Laxman (69) and Sachin Tendulkar (55). Part time left armer Michael Clarke, of all bowlers, took an astonishing 6/9. Australia needed only 106, but India’s three-pronged spin attack of Anil Kumble, Harbhajan Singh and Murali Kartik had the then world champions in tatters at 58/7 before skittling them out for 93, Harbhajan taking 5 in the innings and Kartik 7 in the match. It was an exciting end to an extraordinary match. Australia took the series 2-1. I had the privilege of watching this Test live in the stadium, and I realised what a unpredictable game Test cricket can be. India had taken the series 2-0, and this Test was clearly headed for a draw after West Indies ended their first innings early on Day 3, scoring a massive 590. Their top six all scored more than 61, with Darren Bravo going on to make 166. India replied with 482, courtesy an attacking, unexpected knock of 103 from four-Test old off spinner Ravichandran Ashwin, who also took 5/156 in the first innings. 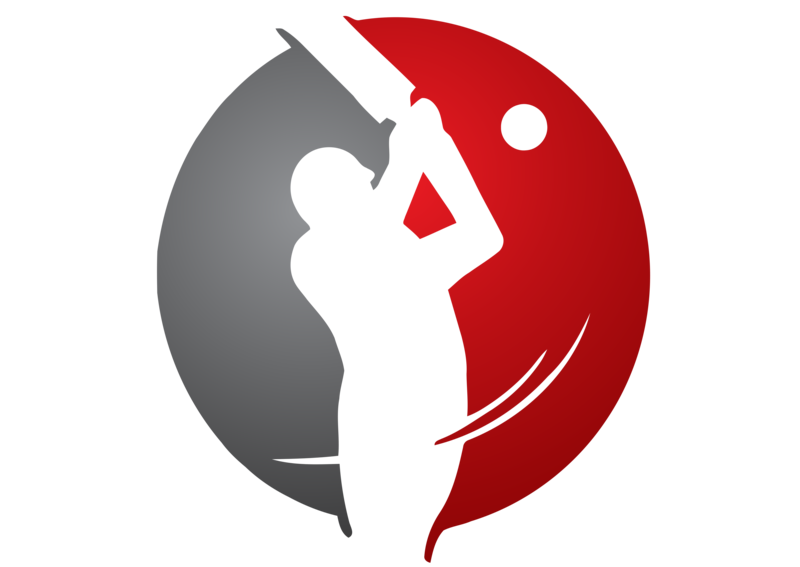 The West Indies were 81/2 at stumps on Day 4, and I decided to miss the first session of the final day, as I thought that the match will peter out to a dull draw. As it happened, that very session turned the game on its head. Pragyan Ojha took 6/47 while Ashwin took 4 more wickets as West Indies were bowled out for 134, setting India 242 in a little over two sessions. I was back at the ground, and witnessed a gripping chase. India were favourites as they needed 95 off 30 overs with 6 wickets left. But the Windies chipped away with wickets, and finally India needed 3 runs with 2 wickets in hand in the last over. They could only manage 2, and Ashwin was run out off the last ball to leave the scores level and result in one of the most thrilling Test finishes.This was only the second draw with the scores level in Tests, the first being Zimbabwe vs England at Bulawayo in 1996-97.